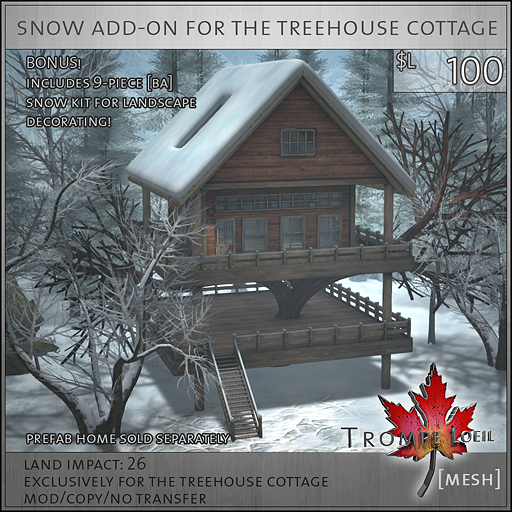 Winter has come to Trompe Loeil! 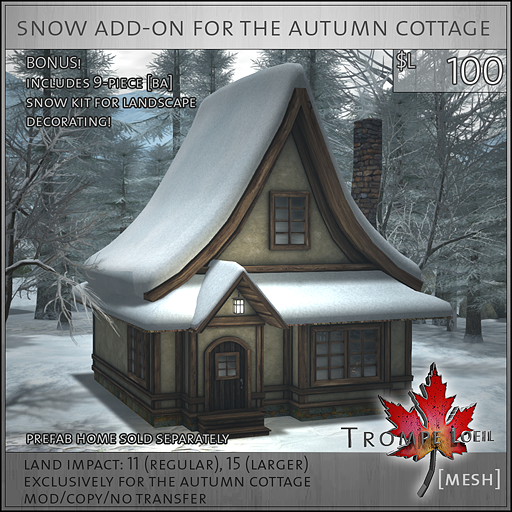 To start our chilly festivities, update your own Trompe Loeil prefab for the winter months with our new Snow Add-On Packs, designed specifically for 6 of our favorite prefab homes. 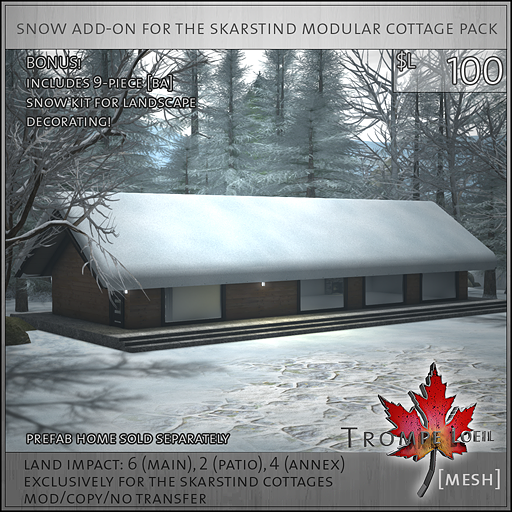 They’re easy to set up (instructions included – just copy the position of your prefab home root prim) and we’ve included a bonus from Barnesworth Anubis of [ba] prefabs – a 9-piece mesh snow drift set perfect for your landscaping – all for only $L100! 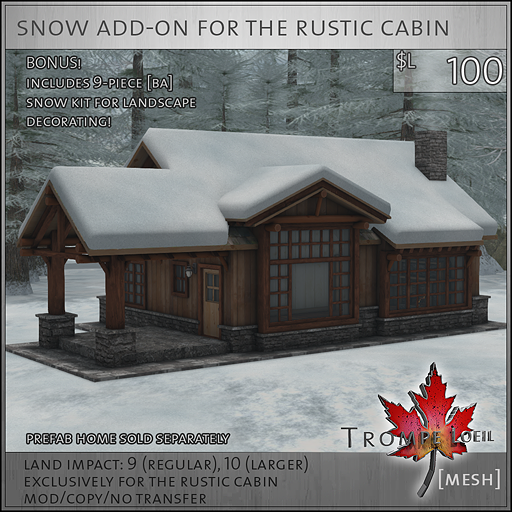 Pick them up right inside the Trompe Loeil Mainstore, and see them in person in our central park area – we’ve redecorated for the holidays and we’d love for you to take a winter wonderland stroll. 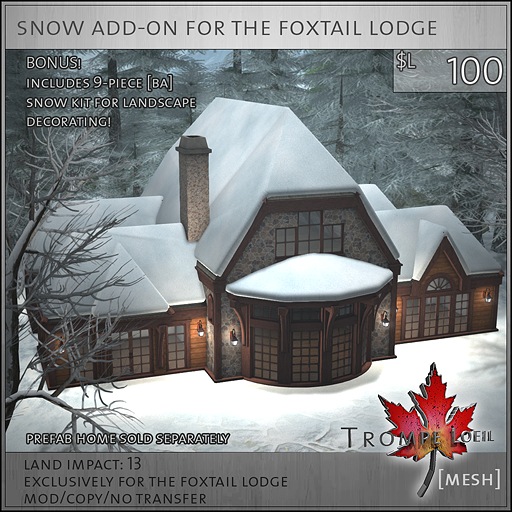 Also, we have a special sale on our Foxtail Lodge through January 1st – 50% off the list price! 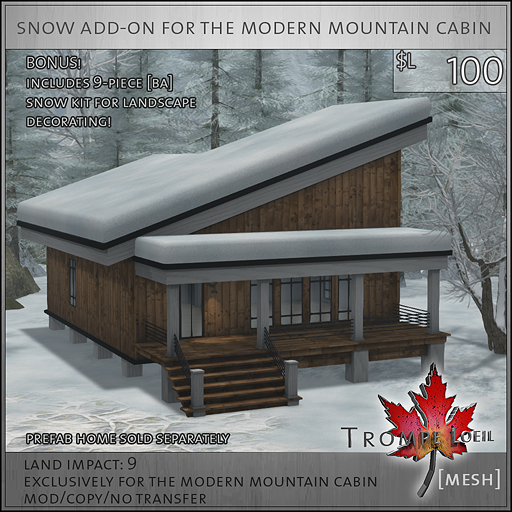 This model has just been rebuilt from the ground up to use our *home control center scripting solution, and to fix camera angle conflicts – come take a look, pick it up for half-off for the holidays, and top it off with the Snow Add-On for a holiday retreat your family will love!